While most of us do not live in Canada, we do enjoy the birds that breed there. As thousands of birders head out to watch migration this spring, how many of us are thinking about where all these birds are going and if their breeding habitats have been destroyed or could be soon. Yes, it is fun to be out in the spring watching all the warblers, vireos, and countless other species but without the Boreal Forest of Canada many of these species would not survive. The population trends of many Boreal nesters is quite disturbing. Rusty Blackbirds have declined by 95% and Olive-sided Flycatchers, Boreal Chickadees, Bay-breasted and Canada Warblers, and Evening Grosbeaks have each declined by over 70%. Wouldn't it be a shame to be missing some of these species each spring and fall? The good news is that you can help. In 2008, Ontario protected 55 million acres of Boreal Forest. Now you can sign a petition to encourage Canada to continue this important conservation effort. Go to http://saveourborealbirds.org/sign.html and sign the petition. It only takes a few seconds and you will be helping the Save Our Boreal Birds organization make a strong statement for continued conservation. They have already gathered over 60,000 signatures and would like to have over 70,000 by the time they present it to the Canadian government on May 12th. This is a free and simple way for you to help protect the birds we all are seeing when we go out birding during spring and fall migration. 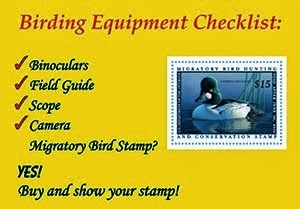 More information on the Save Our Boreal Birds organization can be found at http://saveourborealbirds.org/index.html. Migration really started taking its effect on Indiana this weekend. Last week getting ten warblers in a day was a big challenge, this weekend I had over 20 species of warblers each day and a total of 26 species of warblers for the weekend. Warblers are some of my favorite birds so this was definitely a great weekend. Not only were there many species but also many of those were very cooperative. The highlight for me was a singing Blackburnian lit up by the morning sun. Of course the Summer and Scarlet Tanagers a couple trees over looked amazing in the morning sun as well. The weekend or actually today (Monday) ended my birding for the weekend well with my third or fourth time seeing Willets in Indiana. With the south winds last night came many migrant bird species. Over the next 3-4 nights strong south winds are possible so the birding will only get better. While birding in the heat of the day today I had 15 species of warblers among many other migrants. This included excellent looks at many species including Prairie, Hooded, and Blue-winged Warblers. Here is a pic of one of the many Prairie Warblers. This weekend I will be doing quite a bit of birding to scout for my upcoming big day in southern Indiana for the Amos Butler Audubon Society. This helps raise awareness as well as money that goes mostly to the conservation of birds. I have never done a southern Indiana big day so it will be quite interesting to see how it goes. 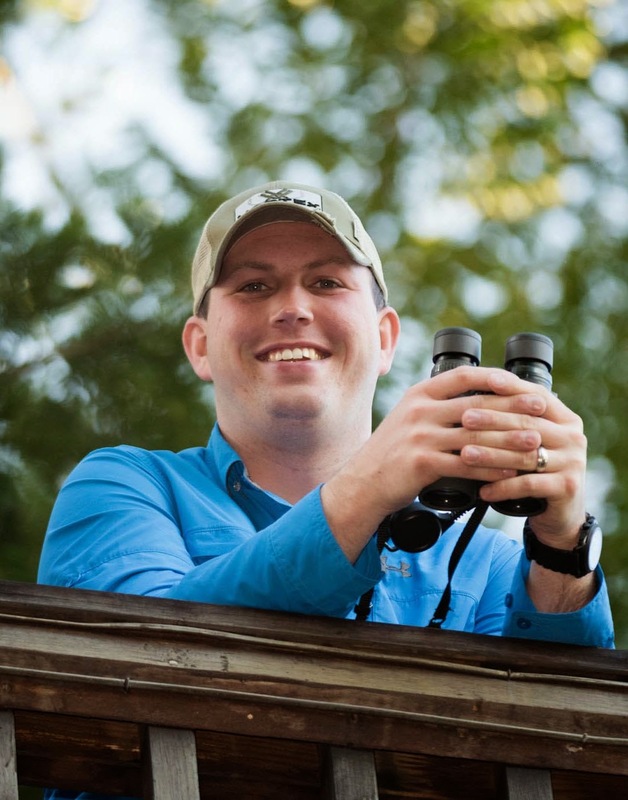 I will post more about the birdathon and how you can help in the coming week. When a Brown Pelican is draining water from its bill after a dive, gull are known to try to steal the fish that the pelican has caught. They have even been observed sitting on the pelican's head to get to the bill. Brown Pelicans incubate their eggs by holding them with the webbing between their toes. They are essentially standing on the eggs to keep them warm. This made them very susceptible to DDT which made the egg shells thinner and caused the adults to crack their own eggs. The race of Brown Pelicans found along the western coast of South America are sometimes considered a separate species. They are bigger than the Brown Pelicans in the United States and have a blue pouch during the breeding season. Brown Pelicans can hold up to 3 gallons of water and fish in their pouches. Brown Pelicans consume up to 4 pounds of fish per day. Contrary to what many fishermen believe, they do not compete with the fishermen due to the types of fish that they eat. Click here to view more information on Brown Pelicans. For pictures of Brown Pelicans, click here. Northern Pintails are one of the earliest nesting ducks in North America. They can be found nesting very shortly after ice melts in many northern locations. Island populations have evolved over time and become separate species. The Eaton's Pintail of the southern Indian Ocean is one example. Although the Northern Pintail is very widespread, there are no subspecies. The Latin name acuere mean "sharpen." Of course this is referring to the pointed tail of the male. This species has suffered a 30% decline over the long-term. This has been caused by many forces but avian diseases seem to be one of the main culprits. Click here to view more information on Northern Pintails. For pictures of Northern Pintails, click here. How can you help save the Red Knot? I recently received an email asking bird bloggers like myself to help the Delmarva Ornithological Society raise money to help protect the Red Knot's habitat in Delaware. This is a species that has undergone serious declines in its population and is in serious need of help from birders and conservationists in order for it to survive. The Red Knot has suffered serious declines due to the over harvesting of Horseshoe Crabs. The Knots use the beaches in Delaware as stopover sites to fatten up before heading north to breed in the high Arctic. Without this essential food source, the Knots will not be able to survive. This area is also a stopping point for Semipalmated Sandpipers whose population has dropped by 80%. In 2007, the Delmarva Ornithological Society decided that the only way to help ensure the survival of this species was to purchase the beaches which are critical to the Red Knots. They used a Bird-a-thon as a source of funding and were able to raise $70,000 in only 2 years. Most of this money was used to purchase 16 acres of bayfront property that is an essential feeding and staging area for shorebirds. Now, they have the ambitious and admirable goal of raising $45,000 more to purchase the remaining 64 acres of bayfront property that is adjacent to the 16 acres they have already purchased. When this is complete, 2 miles of bay coastline will be protected. In order to make this all happen, DOS needs donations from concerned birders and conservationists like all of us. If you live in or near Delaware, consider actually participating in the Bird-a-thon, if not, please consider donating to this wonderful cause. You can find more information about this organization and make a donation by visiting www.dosbirds.org. On Thursday, April 23, a new bill will go before the U.S. House that could ban the sale of all non-native species in the United States. At first, this may seem a little extreme but, when you look at the many ways that exotic wildlife can damage the environment, it seems a lot more reasonable. First, many of these exotics get let loose or are set free and destroy native species. Pythons now prowl the Everglades and look at how many European Starlings and House Sparrow there are everywhere in the country. There species that are let free invade the habitats of our native species and can even cause extreme population declines in some situations. Another issue that comes along with exotic pets is the manner in which they were brought to this county. Many birds are caught in the wild and shipped here to be sold as pets. This is decimating the populations of some of the world's most beautiful birds. While the countries that are exporting these animals should step up as well, as Australia has done with the exportation of its parrots, we in the United States should not be buying these pets. While I would agree that there are a lot of questions that need to be answered before this bill can be passed and enforces, it does seem like this could be a step in the right direction. the full story on this bill can be found here on MSNBC.com. What do you think of this proposed legislation? I have been able to get out and bird quite a bit over the past week or so. I went home for Easter weekend and found many species in our own backyard. The highlights were two singing Fox Sparrows, Blue-gray Gnatcatcher, Yellow-rumped Warbler, Hooded Merganser, Purple Finch, both Kinglets, and a pair of Bluebirds checking out a nest box we put up within a few hours of installation. Around Bloomington, Indiana this week many birds have come in including all the species of swallows, large numbers of Gnatcatchers, and some warblers. Yesterday I found a large flock of more than 65 Purple Finches feeding on Sycamore nuts. And today I was able to find my first Spotted Sandpiper of the year. Since the start of April I have started to use ebird after about a year and a half of not using it. If you have never heard of ebird you should go check it out at: ebird.org. This website is a great way for the average birder to make a difference while out birding by reporting birds that you see on each outing. Since the last time I had submitted a checklist to ebird it has made many great changes. It is now very easy to search all the data and is the easiest way to keep your own records. This species is a frequent winter irrupter. Evening Grosbeaks do not have a well developed song that is used for mating and territorial defense. A female Evening Grosbeak once collided with a plane 6200 feet above ground in Colorado. This is 12,468 feet above sea level at this location and is quite high for a songbird to be flying. It is unknown if this is a common height for grosbeaks to fly. These birds have been see eating 96 sunflower seeds in under 5 minutes. They eat a surprisingly large quantity of raw salt. Click here to view more information on Evening Grosbeaks. For pictures of Evening Grosbeaks, click here. A single White-winged Crossbill can eat up to 3,000 conifer seeds each day. White-winged Crossbills do not have a defined breeding season. They are opportunistic and will breed whenever food is readily available. There are breeding records in every month of the year. It is three times more likely for the lower mandible to cross to the right than to the left. White-winged Crossbills go through only one molt per year that usually occurs in the fall. Due to the structure of the feathers, the males look pink right after they molt and do not get their red color until part of the feather wears off. The Hispaniolan Crossbill used to be considered a subspecies of the White-winged Crossbill but it is now considered its own species. It can only be found in the pine forests of Haiti and the Dominican Republic. Click here to view more information on White-winged Crossbills. For pictures of White-winged Crossbills, click here. 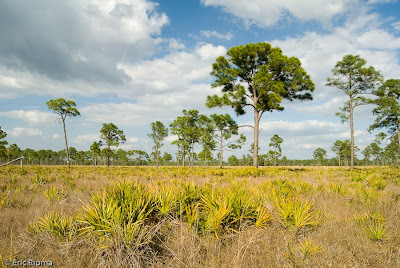 I have only visited Babcock Webb WMA one time but I definitely plan on going back. Most of the property is made up of pine woodlands with lakes and ponds mixed in. I was looking for Red-cockaded Woodpeckers which unfortunately I did not see but I was able to find a few Brown-headed Nuthatches which were new birds for me. 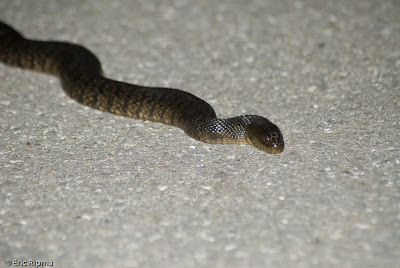 We stayed until sunset and as we were driving out we were lucky enough to find three snakes along the road. We saw one snake earlier in the day in the talons of a Great Horned Owl but I am not really sure that counts. Red-cockaded Woodpecker, Brown-headed Nuthatch, and Bachman's Sparrow habitat. Check out more SkyWatch Friday posts here. I have been to Ft. Myers Beach, Florida 4-5 times but only twice with a camera. For birders this place is an excellent location to see many species of shorebirds including the Long-billed Curlew (see last post for a pic of a Long-billed Curlew). For a photographer this place is as good as it gets. If you are not fortunate enough to have a long lens, a 300 mm lens is plenty for almost all of the species. I use a 70-300 and in many situations I don't use all of the power. There are tons of backgrounds to work with from greens and blues to reflections of colorful hotels in the water. Wading in the water is key in this location and as this is a coastal saltwater lagoon there is no need to worry about gators. 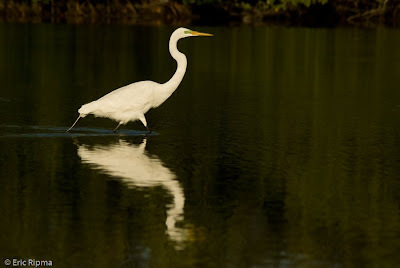 This is a Great Egret against a nice dark green background. The background is created by mangroves. 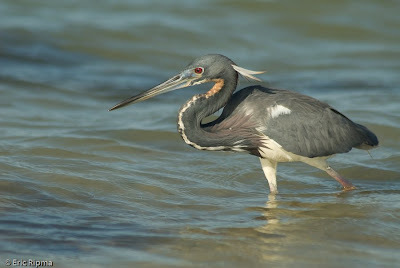 This Tricolored Heron was fishing in a channel where the water that fills up the lagoon comes from. 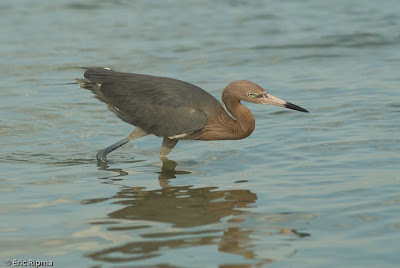 This is a Reddish Egret. I sat and waited for him to come closer and eventually he got so close I was getting head shots with a 300 mm lens. Peregrine means wanderer. This name was given to them because of their long migration that can be as long as 15,500 miles per year. Peregrine Falcons are one of the most popular birds with falconers. This helped the birds recover from near extinction from the use of DDT because their breeding habits in captivity were well understood. The Peregrine Falcon is one of the fastest birds in the world and can reach speeds of up to 200 mph during hunting stoops from heights of more than 1/2 mile. Peregrine Falcons are one of the most widespread birds in the world occurring on all continents except Antarctica as well as on many islands. Peregrine Falcons were removed from the United States' Endangered Species List in 1999. Click here to view more information on Peregrine Falcons. For pictures of Peregrine Falcons, click here. Northern Goshawks are known for their fierce defense of the nests. They will even attack people that approach to closely. They are also known for their persistent pursuit of prey. They will sometime spend 45-60 minutes going after a single snowshoe hare. The Eurasian race is typically darker overall than the American race but up to 50% of all Siberian goshawks are completely white. The work goshawk comes from the Old English words "gos" meaning goose and "hafoc" meaning hawk. It is still pronounced as if they are separate words. Attila the Hun had an image of the goshawk on his helmet. Click here to view more information on Northern Goshawks. For pictures of Northern Goshawks, click here. March turned out to be a great month. Migration has started in Indiana and many species of waterfowl, shorebirds, and passerines started to head north. While that was happening I headed south to Florida and was able to see many great birds. Visiting Dry Tortugas National Park is definitely one of the highlights of all my birding adventures. 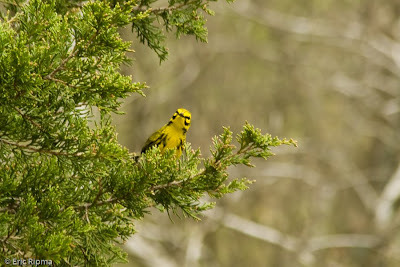 I gave a talk about bird songs at Clifty Falls State Park in southeastern Indiana and I finished up the month by watching a few warblers that have already arrived in Indiana. Now it is April and it has snowed the entire morning. Luckily the snow hasn't stuck but I just can't believe it snowed for so long. Bring on some warmer weather. Here is one of my favorite photos from the March. 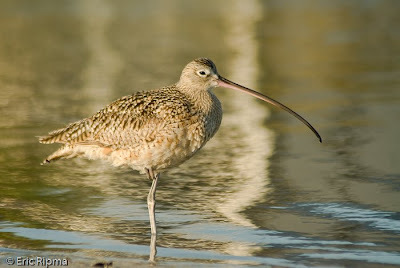 This is a Long-billed Curlew that I found and photographed on Ft. Myers Beach. Soon after I took this a Bald Eagle came by and scared this Curlew along with every other bird on the beach. I am sure they are Bushtits but if you have any ideas about how so many of them could get this similarly patterned yellow on them let me know. Recently there have been a lot of announcements on the birding list-servs about the U.S Nightjar Survey Network conducted by the Center for Conservation Biology. This is the first long-term attempt to count nightjars in the United States. The program was started because conservationists and the general public had begun to realize that nightjar populations were declining but there was no scientific evidence to support these thoughts. In order to gain insight into this problem, the program has created hundreds of routes consisting of 10 roadside stops spaced 1 mile apart. At each stop, for a 6 minute period, the observer counts all of the nightjars that they hear. Each route is only completed once per year during a specific date range. There are many vacant routes around the country and volunteers are desperately needed to make this project a huge success. It is very easy to complete these routes and many nightjar calls are not very difficult to learn. Check out the project and volunteer to cover a route by visiting http://www.ccb-wm.org/nightjars.htm. To learn more about nightjars, we recommend checking out this book Nightjars: A Guide to the Nightjars, Frogmouths, Potoos, Oilbird and Owlet-nightjars of the World . The Magnificent Hummingbird is the second largest hummingbird that lives north of Mexico. Until the mid-1980s, this hummingbird was known as Rivoli's Hummingbird. Magnificent Hummingbirds fly more slowly than other hummingbirds and can actually glide for short periods of time due to their large wings. Magnificent Hummingbirds eat more insects than many other hummingbird species. Males aggressively defend their breeding territories. Click here to view more information on Magnificent Hummingbirds. For pictures of Magnificent Hummingbirds, click here. Pileated Woodpeckers are known to dig out rectangular holes while looking for ants. Some of these holes can be so large that they cause small trees to break in half. A pair of Pileated Woodpeckers stay on their territory all year to defend it. Many other woodpecker species will feed at Pileated Woodpecker holes once the Pileated Woodpeckers are done with them. Pileated Woodpeckers prefer very tall trees for nesting. In young forests, they will choose the tallest tree available which makes them susceptible to lightning strikes. In order to claim their territories, Pileated Woodpeckers drum on hollow trees. Click here to view more information on Pileated Woodpeckers. For pictures of Pileated Woodpeckers, click here.